The Volkswagen Phaeton /ˈfeɪtən/ fay-tən is a full-size (F-segment in Europe) luxury sedan/saloon manufactured by German automaker Volkswagen, described by Volkswagen as their "premium class" vehicle. Introduced at the 2002 Geneva Motor Show, the Phaeton is marketed worldwide except in North America where a lower cost Audi A8 is sold instead. The name Phaeton derives from Phaëton, the son of Phoebus (or Helios) in Greek mythology, by way of the phaeton auto body style and the type of horse-drawn carriage that preceded it. The Phaeton was conceived by Ferdinand Piëch, then chairman of Volkswagen Group. Piëch wanted Volkswagen engineers to create a car that would surpass the German prestige market leaders, Mercedes-Benz and BMW. The decision to release the Phaeton was, in part, a response to Mercedes' decision to compete directly with Volkswagen in the European marketplace with the low-cost A-Class. It was also intended to support the Volkswagen brand image, since the most expensive versions of lesser models, such as the Golf GTI, were starting to cost almost as much as equivalently-sized prestige brands. Although the Volkswagen group already has a direct competitor in the full-sized luxury segment, the Audi A8, the Phaeton is intended to be more of a comfort-oriented limousine like the Mercedes-Benz S-Class and Lexus LS, while the Audi A8 and BMW 7 Series are more sport-oriented. Initial development of the Phaeton, given the internal project code VW611, began with Piëch giving his engineers a list of ten parameters the car needed to fulfill. Most of these specifications were not made known to the public, but a number of them were told to automotive reporters. One of them was that the Phaeton should be capable of being driven all day at 300 kilometres per hour (186 mph) with an exterior temperature of 50 °C (122 °F) whilst maintaining the interior temperature at 22 °C (72 °F). Piëch requested this even though the Phaeton's top speed was electronically limited to 250 kilometres per hour (155.3 mph). Another requirement was that the car should possess torsional rigidity of 37,000 N·m/degree. At the 1999 International Motor Show Germany, Volkswagen presented the Concept D, which was essentially a hatchback prototype of the Phaeton, with very similar design, V10 TDI engine, air suspension and all-wheel-drive. The Phaeton's platform, the Volkswagen Group D1 platform, is shared with the Bentley Continental GT and Bentley Continental Flying Spur. Certain systems, such as the automatic transmission and some engines, are also shared with the Audi A8. Compared to the Audi A8L 4.2 FSI quattro, the Phaeton is 545 pounds heavier but is still competitive with the lighter A8 in most driving tests, due to the Phaeton's increased engine power (335 hp versus 330) and a shorter axle ratio (3.65:1 versus 3.32). However, the weight gives the Phaeton considerably worse acceleration and poorer fuel economy compared to the A8. 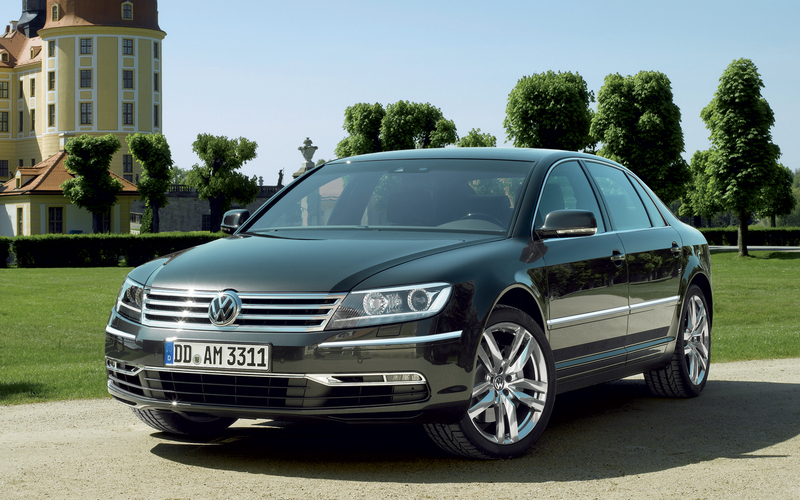 As of 2011, the Phaeton has the longest wheelbase in the Volkswagen passenger car line. Development of the vehicle led to over 100 individual patents specific to the Phaeton. Distinctive features include a draftless four-zone climate system, and standard Torsen-based 4motion four-wheel drive. For high ride comfort, it introduced Adaptive Air Suspension with Continuous Damping Control (CDC)-(Skyhook suspension). The same suspension system, with firmer settings, was introduced in the technically similar Audi A8 in late 2002. First Volkswagen with radar adaptive cruise control: automatic distance regulator (ADR). The Phaeton Lounge is a concept car based on a lengthened version of the Phaeton with seating for four (two pairs of seats facing each other) in the rear compartment. It features a W12 engine, a reinforced chassis, 6-speed Tiptronic automatic transmission, individual climate control for each passenger, front and rear wine coolers, a minibar, multi-color mood lighting, a cigar humidor, two 17-inch monitors, DVD changer in the trunk, 2nd DVD player in the rear cabin, and a Bluetooth-enabled computer with a broadband connection. The vehicle was unveiled in 2005 Middle East International Motor Show. The Phaeton is hand-assembled in an eco-friendly factory with a glass exterior, the Transparent Factory (German: Gläserne Manufaktur) in Dresden, Germany. This factory also assembled Bentley Continental Flying Spur vehicles destined for the European market until October 2006, when all assembly of the Bentley products was transferred to Crewe, England. The Phaeton body is fabricated and painted at the Volkswagen works at Zwickau, Germany, and the completed bodies are transported approximately 100 km by special road transport vehicles to the main factory. Most Phaeton engines, the W12 being the notable exception, are built at the VW/Porsche/Audi engine plant in Győr, Hungary. Sales of Phaeton have fallen far short of expectations. Its biggest markets are China, followed by South Korea. 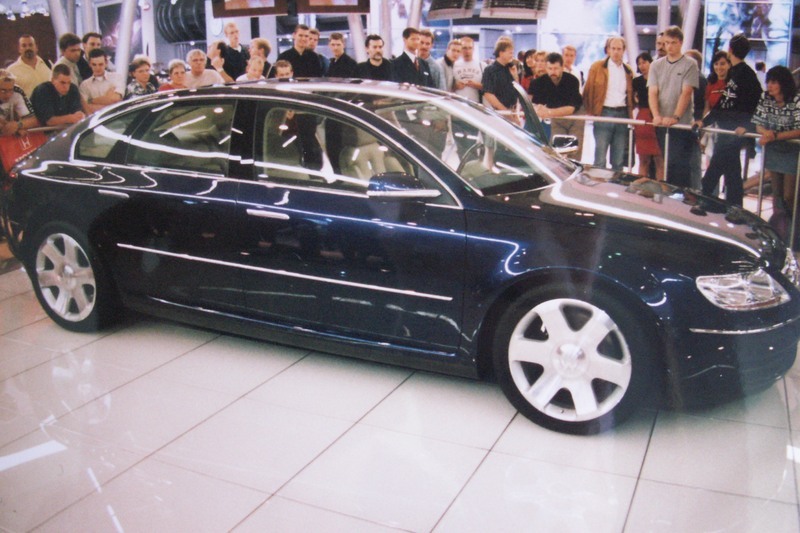 In 2002, the manufacturer stated the annual capacity of the new Phaeton plant at Dresden was 20,000; by September 2006 a four-year total of 25,000 had been built, with production running at approximately 6,000 cars annually. The domestic market is the Phaeton's strongest, with 19,314 Phaetons delivered in Germany alone by January 2009. Production decreased to 10,190 cars in 2012 and 5,812 in 2013. In the United States market, 1,433 Phaetons were sold in 2004, and 820 were sold in 2005, leading to where the company announced that sales in the American market would end after the 2006 model year. The W12-engined models have depreciated significantly, and sell for a small fraction of their original cost. The Phaeton debuted at prices comparable to similar offerings from Mercedes-Benz, BMW, Lexus and the Volkswagen Group's own Audi A8(which shared its powertrain with the Phaeton). Motor Trend suggested that the "VW badge on the hood may not say 'premium' to many auto shoppers" but they were impressed at how the Phaeton drove. As of January 2011, Volkswagen reported the possibility of bringing the Phaeton back to the U.S. in the car's next product cycle. In Autumn 2013, The Economist placed Phaeton into the report on Europe's biggest loss making cars. In October 2014, Top Gear magazine placed the Phaeton on its list of "The worst cars you can buy right now." The vehicle was unveiled in 2007 Geneva Motor Show. Update included new LED daytime running lights, as well as a freshened centre console with revamped controls and materials. 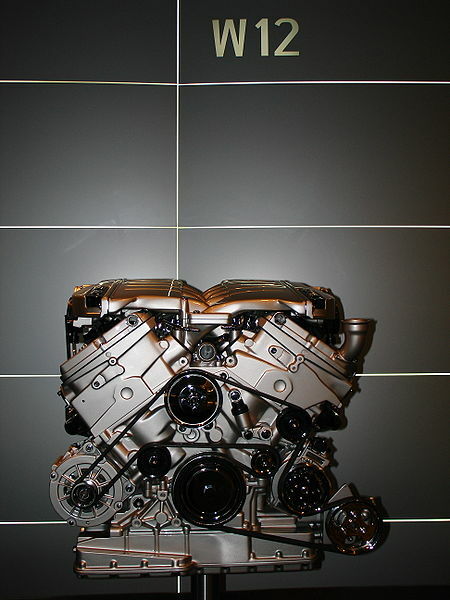 New Fuel Stratified Injection (FSI) V6 petrol engine with greater power and fuel efficiency (206 kW / 280 PS) which satisfy Euro-5 emissions standards is also available. Other changes to the 2009 model year car now being launched include: three new types of alloy wheels (17, 18 and 19 inch), a slightly modified radiator grille, three new exterior colours, the new leather colour, the new wood trims, white switch illumination instead of red, accent and switch trim in the new "Warm gray" colour, an upgraded car key, makeup mirror in the rear on the LWB version, dampers optimised for low-friction, Carbon fibre-reinforced Silicon Carbide (C/SiC) ceramic composite brakes (front) on the Phaeton W12, as well as a rearview camera (Rear Assist) and blind spot warning systemSide Assist. The vehicle was unveiled in 2010 Beijing International Automotive Exhibition. The 2011 model year car got a new front fascia to more closely resemble the Volkswagen styling direction first seen on the Golf Mk VI. This included new LED running lights, bi-xenon headlights and a new bumper with LED fog lights. The rear LED clusters were altered to mimic those found on facelifted Touran, Sharan, and new Touareg. The interior benefited from some new technologies, but retained the 2009 MY layout. The Phaeton was offered as a normal wheelbase and long wheelbase models, with five-seat layout or an optional four-seat interior. In the five-seat version, the front seats can be adjusted 12 ways. Standard features include all-wheel drive, air suspension, and four-zone automatic climate control. A multifunction steering wheel can be ordered in leather or wood-leather. As of 2007, powertrain options for the Phaeton include the following engines. 4motion permanent four-wheel drive is the only driveline system available. A front wheel drive only configuration was available with the 3.2 L engine during the 2003 and 2004 model years. BGH / BGJ / ? Vehicles manufactured for sale in the North American market were only available with the 4.2 L V8 and 6.0L W12 engine, both of which were electronically limited to 210 km/h (130.5 mph). The Phaeton features a Bosch ESP 5.7 Electronic Stability Programme, with Anti-Lock Braking System (ABS), Electronic Brakeforce Distribution (EBD), Anti-Slip Regulation (ASR) traction control system,Electronic Differential Lock (EDL), Engine Braking Control (EBC), with emergency Brake Assist (BA). The electronic differential lock (EDL) employed by Volkswagen is not, as the name suggests, a differential lock at all. Sensors monitor roadwheel speeds across an individual driven axle, and if one wheel is rotating substantially faster than the other (i.e. slipping) the EDL system momentarily brakes it. This effectively transfers power to the other wheel. Last updated on 25 August 2015 at 16:55.